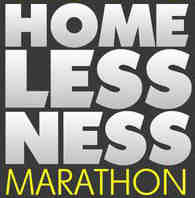 The 18th Annual Homelessness Marathon, http://news.homelessnessmarathon.org/ — will originate from Washington, DC, starting at 7:00 p.m., EST on Wednesday, February 17, 2016 and ending at 9:00 a.m. the following morning. That’s fourteen hours of discussion about poverty and homelessness in America. Our hosts on the air will be Pacifica radio WPFW. Our hosts on the groundwill be the Church Of the Epiphany, which reaches out to DC’s homeless a part of its ministry, and also Street Sense, the homeless paper of DC, which is housed in the church. WPFW has many programmers who can contribute to the broadcast, and the Church of the Epiphany and Street Sense will be able to help include a diverse cross section of Washington’s homeless.